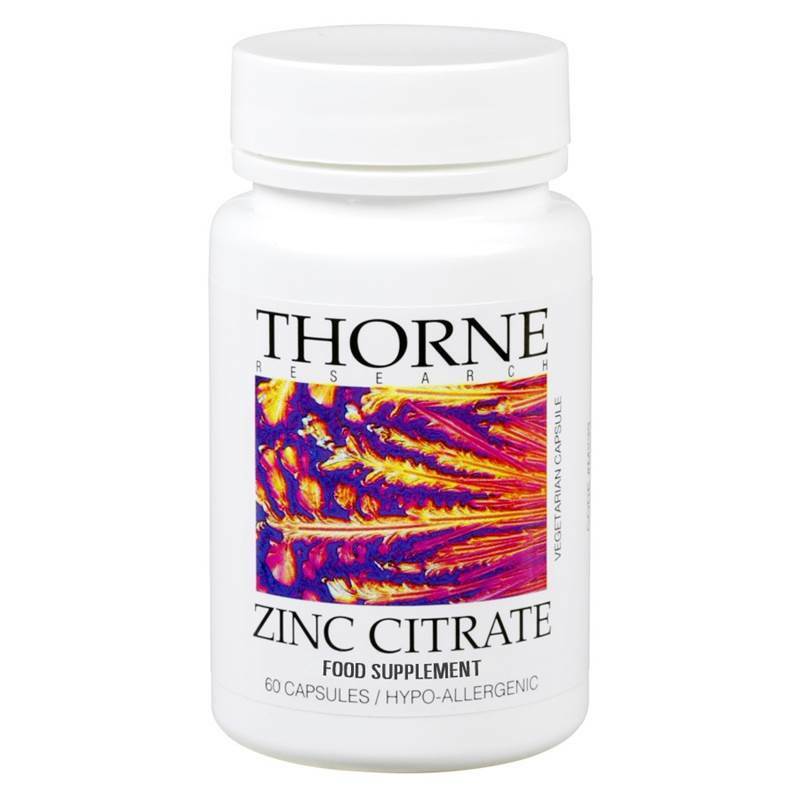 Thorne Research Zinc Citrate is a well-absorbed zinc supplement with no preservatives, magnesium stearate or other lubricants. Zinc contributes to normal metabolism of fatty acids, normal protein synthesis, normal carbohydrate metabolism and normal DNAsynthesis. It also contributes to normal cognitive function and normal testosterone levels in the blood and the maintenance of normal hair, nails, skin, bones and vision. Ingredients: Bulking Agent: Microcrystalline Cellulose. Anti-caking Agents: Silicon Dioxide, Leucine, Hypromellose (derived from cellulose) capsule. Zinc (as Zinc Citrate).